On the north side of Dublin Bay you will find a nice little fishing village named Howth. The village is also about 9 miles from Dublin City and covers a large amount of the northern part of Howth Head that is linked to the rest of Dublin by means of a narrow strip of land at Sutton Cross. The restaurants in Howth are remarkable and offer a impressive environment to dine in. Most use local produce to make your meal more enjoyable and the view of the ocean is outstanding. Howth Abbey is one place in particular to visit. This pub is a great place for lunch or diner and is one of the oldest pubs in Ireland. Walking along in Howth you must go to Howth Pier. There, you can see all the seals that gather around hoping to get some free fish from the fishermen there. You can purchase bags of fish there to feed the seals with. This is really fun to do. Howth Castle is north of the city of Dublin and is now overseen by Fingal, Ireland. The castle was the home of the late Earl of Howth and is now held by their successors, the Gaisford St. Lawrence family. The grounds have beautiful gardens, a golf course, fire engines and much more. This magnificent castle is open to the public. St. Mary’s Church is the first thing you see at the entrance to the Howth Castle. This beautiful church is open to the public in the summer. Martello Towers are small forts built in more than a few countries of the British Empire in the 19th century. Fry Model Railway Museum is another great place to visit and learn about the history of the railway transportation in Ireland with a huge model train to walk around. 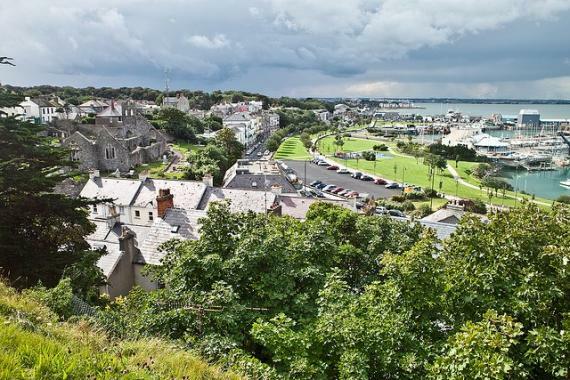 Find information about selected Hotels, apartments and rooms in Howth to choose the perfect place for your accommodation.